What Does Mugabe’s Fall Mean to the Diamond Trade? At Brilliant Earth we are crazy for vintage rings. Though it’s hard to pick favorites, we’ve rounded up seven especially stunning engagement rings from vintage periods spanning the Victorian era of the late 19th century to the Retro era of the mid-20th. All of these vintage engagement rings have a distinctly antique allure but are timelessly beautiful enough to look just-right for this century. Take a look and let us know your favorite! 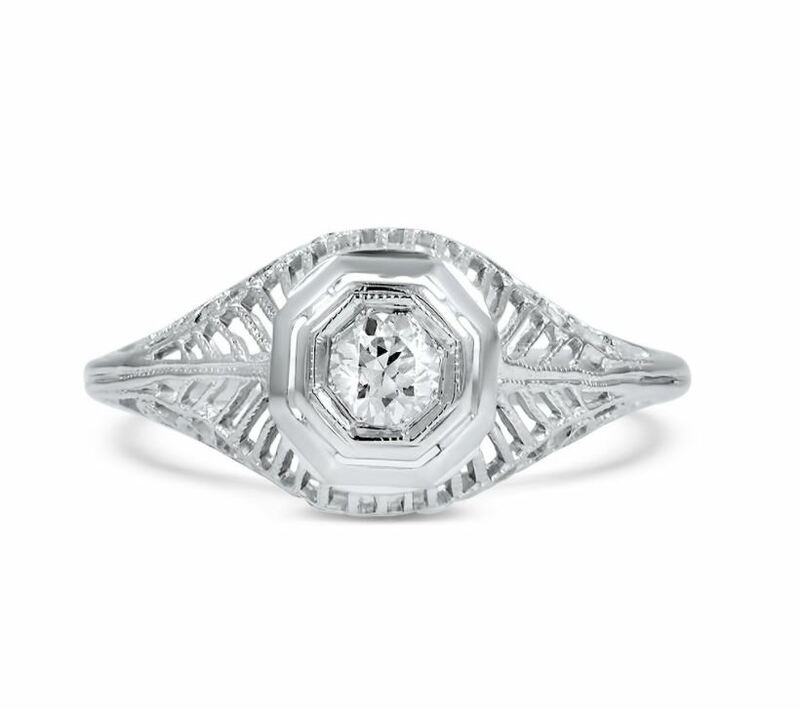 Geometric designs are characteristic of the chic Art Deco style, and the Becky Ring is a gorgeous example of the aesthetic. A dazzling cushion cut diamond forms the centerpiece of the platinum ring, surrounded by single cut diamonds in a tiered pattern. Rings from the Art Nouveau era frequently feature curving, asymmetrical designs and this beauty is no exception. 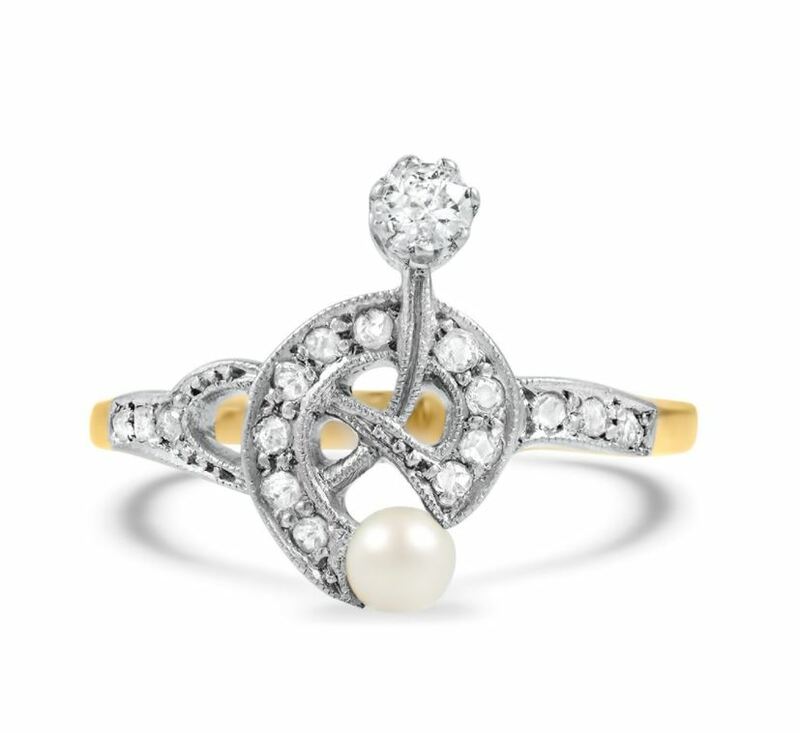 The Munro Ring features a pearl and old European cut diamond. 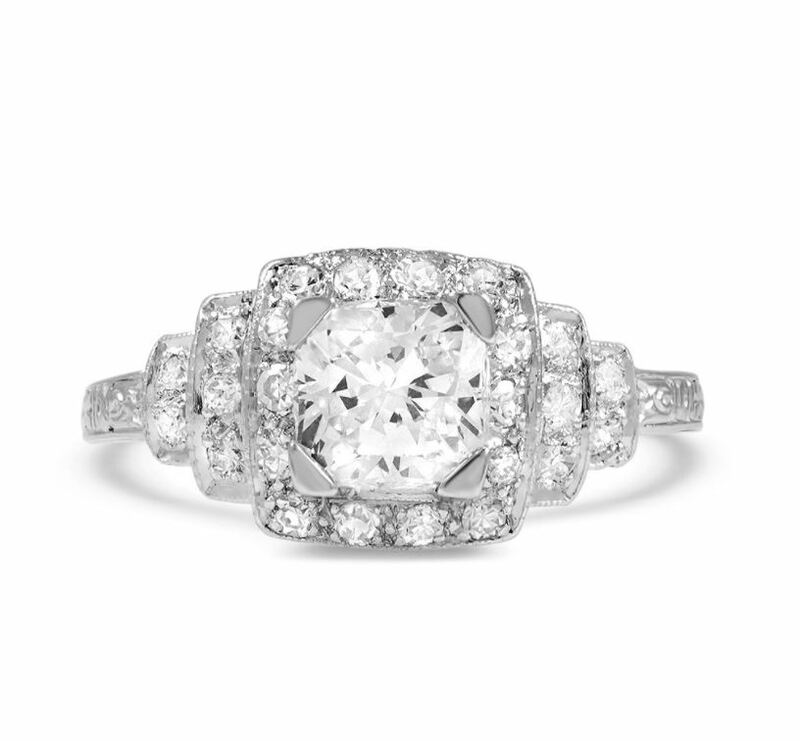 A stunning round brilliant cut diamond makes the perfect centerpiece for the Embarcadero Ring. The thirty four diamonds surrounding the center and the milgrain detailing adorning the setting complete the Edwardian look. The Edyta Ring features twenty eight surprise diamond accents encrusted in the gallery along with a stunning round brilliant center diamond. 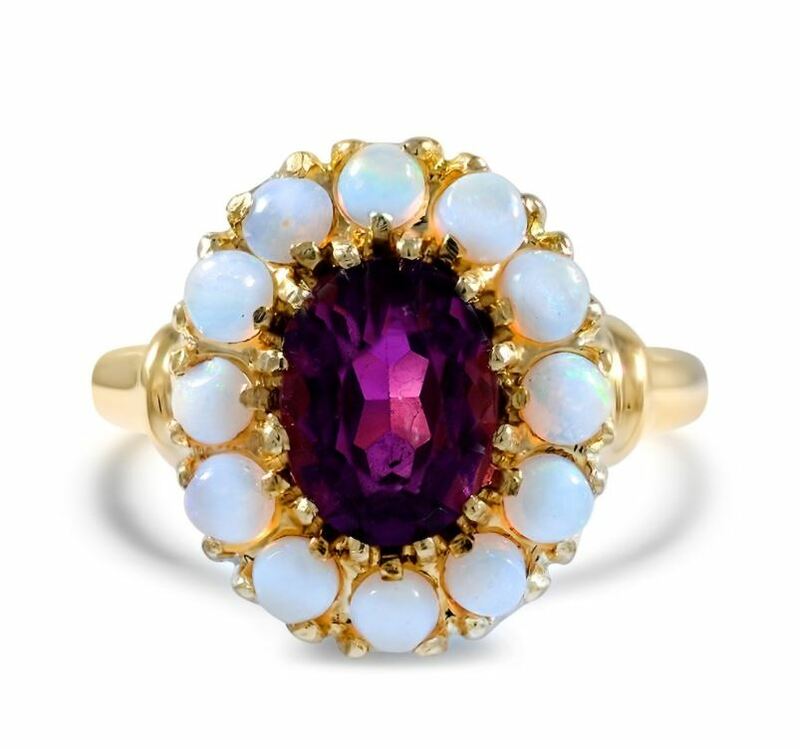 With an oval-shaped amethyst surrounded by a halo of twelve opals, the Esquivel Ring exudes Retro glamour with its floral motif. 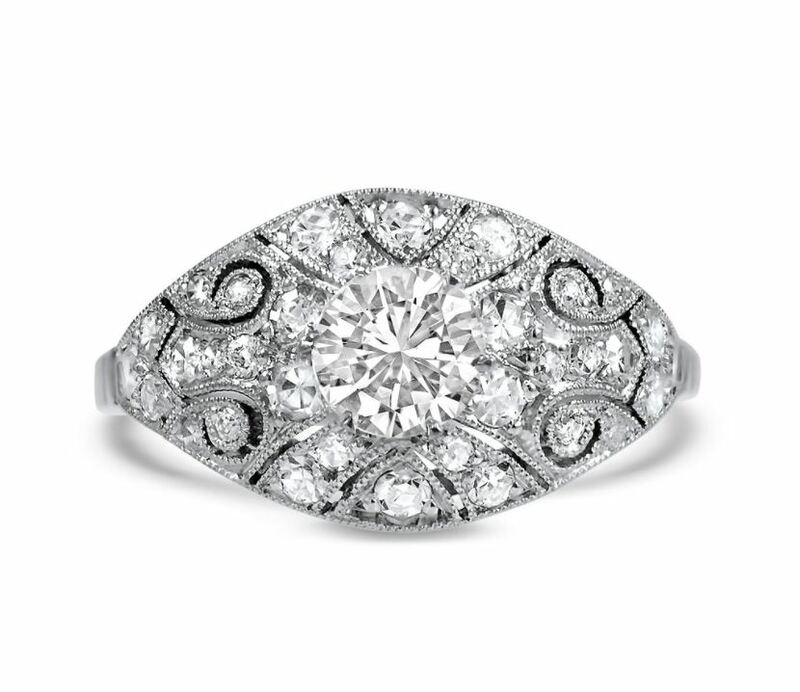 The Barksy Ring showcases a beautiful brilliant cut diamond accented by two channels of single cut diamonds. A gorgeous example of a quintessentially Edwardian design, the enchanting Ola Ring features a round brilliant diamond in a detailed 18K white gold setting. 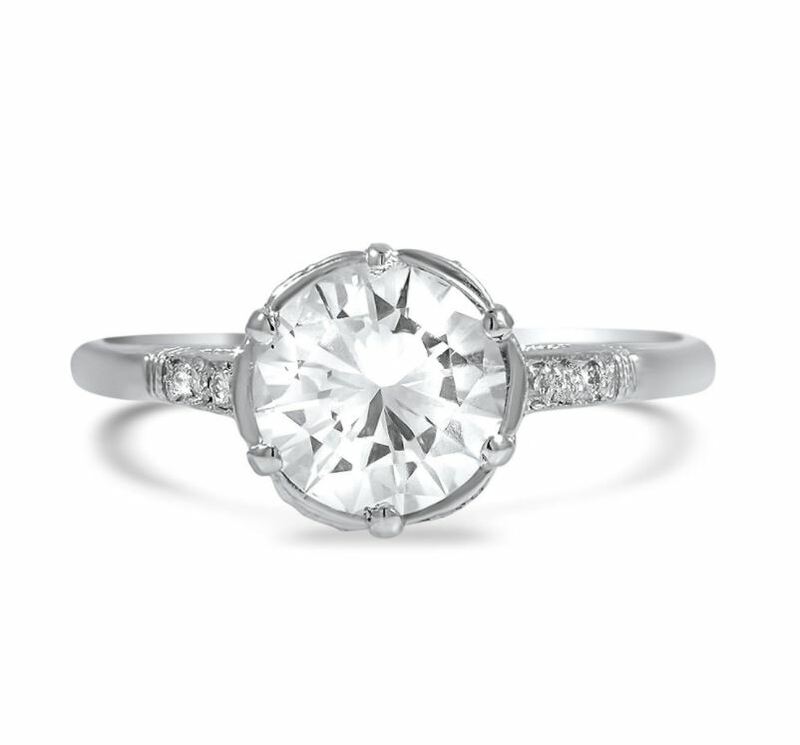 Which of these vintage engagement rings is your favorite? Let us know on Facebook or Twitter, or in the comments section! I have a ring similar to the Aiken ring on my pinky- it was my great great grandmothers wedding ring. I LOVE it- love the romaticism look of it and the history behind it. Hi JK, this ring was one of our one-of-a-kind vintage pieces, which unfortunately has already sold but you can still view it on our website here: http://www.brilliantearth.com/The-Zula-Ring-White-Gold-BMA82305/. 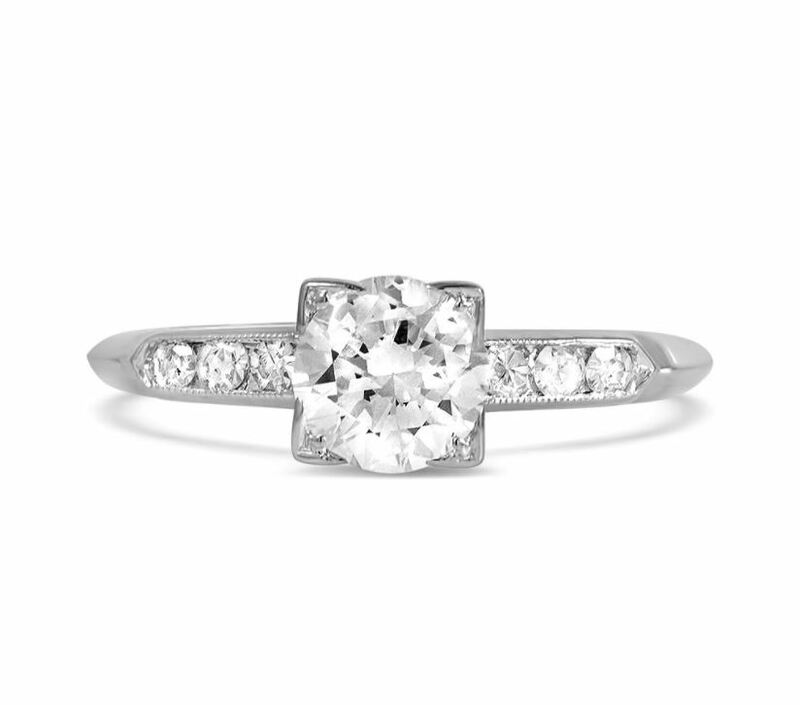 Our jewelry specialists would be more than happy to help you find a similar unique antique ring, or help you design a custom reproduction! You can reach them at 1.800.691.0952 or via email (http://www.brilliantearth.com/contact/). Thank you for your interest! Would love to find out any info. you have on the Zula ring. It’s one of the most graceful and beautiful rings I’ve seen. the blackhills gold ring is beautiful. The Taja ring best out of them all. The Ariadna Ring would look beautiful on my finger. The Dahna ring makes me feel special .